These customer service terms apply to orders placed on www.MurraysCheese.com. Orders can be placed 24 hours a day, seven days a week via our web site. Alaska and Hawaii will have a surcharge of $15 added to the shipping cost. 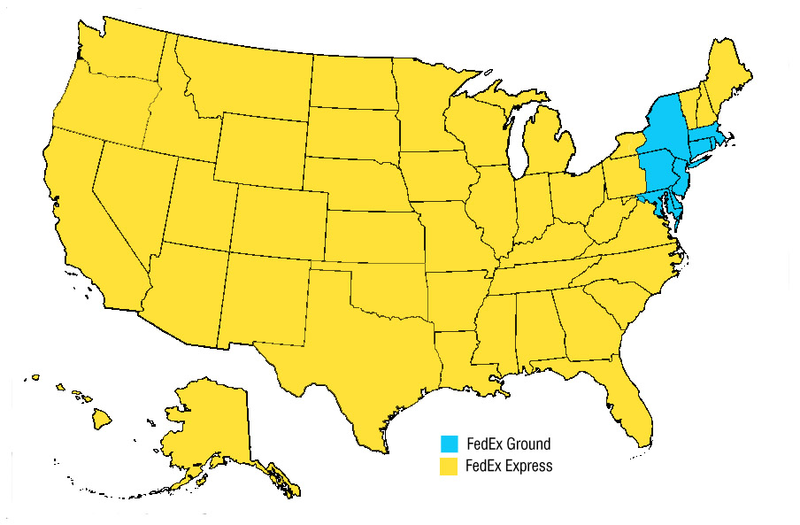 Where Ground shipping can't deliver your order as quickly as we require, or where Ground shipping is not available for your location, we do not display Ground as a shipping option in the checkout process. For Saturday Priority delivery, choose Saturday as your delivery date and you'll be offered the premium service. We cannot ship on Saturday or Sunday, unless otherwise noted. If desired, you can select a future delivery date during the checkout process. Please note that if you select a future date for your order during checkout, it will NOT apply to Monthly Club purchases! During December and other peak periods, we require one additional day to process and deliver your order and will inform you of any unusual delays. We ship all packages with Signature Release, so FedEx will leave it at your door if you are not available to receive it. We cannot ship to PO Boxes, APO's or FPO's or outside of the US. Orders shipping to Puerto Rico must be placed over the phone. To place an order going to Puerto Rico, please call (888) MY CHEEZ between the hours of 9AM and 6PM Monday-Friday. We're happy to help you over the phone or via the email address above! To speak to a qualified cheesemonger call 1-888-MY-CHEEZ (1-888-692-4339) Ext. 7. Murray's accepts the following credit cards: Mastercard, Visa , Discover, and American Express. All prices are subject to change without notice. Catalog prices do not reflect the cost of delivery. We do not ship C.O.D. New York State sales taxes will automatically be added to any applicable purchase. At Murray's, cheeses offered in pieces smaller than a full wheel are cut by hand to provide only the freshest product. While we strive to be as accurate as possible, just like in our stores the final cut pieces may vary a little in size and weight. While you shop, you can request a weight and we will show you the associated price for everything priced by the pound. On the day of shipping, we assemble your order and weigh each item to determine its final price. When your order is placed, your card will be authorized for the amount of your order. For items cut by hand, the authorization will include a 25% markup to accommodate variation between the weight ordered and the actual weight fulfilled (see honest pricing policy above). Your card is not actually charged until your order is shipped. At that time, cut-to-order items will be billed based on the exact weight fulfilled times the per-pound price. At the time of final billing, it may appear as though there are two charges if the pre-authorization has not yet cleared from your statement. The majority of pre-authorizations clear within a matter of hours following the actual charge at the time of shipping. Delayed deliveries due to weather or other "Acts of God". Delivered to specified address, yet package wasn't received. Package received but contents not refrigerated within 24 hours allowing for unnecessary spoilage (all boxes are clearly marked "Perishable"). Items that have been discarded or consumed. Murray's Cheese takes a day to receive and process your order. Orders placed by 3:00 p.m. Eastern can be shipped from our facility the next business day. Please remember that the delivery clock starts once the package is picked up from our location not once the order is placed. All coupons listed online and promotional pricing on our site are valid for online orders only and cannot be used at our retail locations, unless otherwise noted. Clubs, Classes, and Gift Cards do not qualify for coupon discounts, unless otherwise noted. A personalized gift note can be included with all of our products at no extra charge. You will be prompted to write a gift message when your online order is sent to a different name than the one used for purchase. Please be sure to include a signature! If the order is being shipped to a recipient other than the billing name, it will not include pricing on the packing slip included with the order. Your one-time charge includes the cost of membership and monthly shipping charges. If you have purchased any of our monthly clubs as a gift, we will send you a welcome letter for your recipient so you can mail or present it as you wish. Cheese of the Month shipments arrive on the second Thursday of the month, while Pair and Meat of the Month arrive on the third Thursday of the month. If you will be unable to receive your cheese for any reason, please contact us at least 24 hours before the expected delivery date at orders@murrayscheese.com or toll-free at 1-888-MY-CHEEZ Ext. 7 to delay your shipment. * Please note: if you specify a ship date for your order during checkout it will not apply to your Monthly Club selection! Physical Gift Cards can be purchased online and will be mailed to you. These cards can be used in our stores, for classes at our stores, for Murray's Catering, and at our restaurant, Murray's Cheese Bar. To use these cards for mail order, orders must be placed by phone. The cards are sent by regular US Mail and can take up to 2 - 3 weeks to arrive. If you need the card to arrive more quickly, please let us know and we'll upgrade your gift card to be sent by FedEx for $10. Unless otherwise stated, discounts aren't available on gift cards. Your cheeses are packaged in insulated cartons and fitted with ice packs to ensure quality standards for up to 48 hours. Items ordered together are not necessarily shipped together. Please note that to ensure quality, all cheese is cut to order. Cutting cheese is an art, not a science. We do our very best to cut as accurately as possible. You'll be given the option at checkout to allow Murray's to make substitutions to your order in the event that an item is out of stock. Due to seasonal availability and supply limitations, we may need to substitute items within gift selections. We always compose gift selections with alternative ingredients of equal or greater quality.